What if weather information can assist you to predict: When and what to plant? When and how much to irrigate? What pests to scout and treat for? When, what and how much to fertilize? When the harvest will be? How much yield is expected? When an insurance payout triggers? When and what to spray? eProd Solutions and aWhere partner to lift agriculture for small holder farmers to the next level. “We collect more than 7 billion data points across the planet to create unprecedented visibility and insight for the agricultural earth”, says John Corbett, Chief Science Officer and Co-founder of aWhere. “In partnership with eProd Solutions we aim at making these technologies that have proven to create value for large scale farming available for small scale farmers. Location, planting date, soil type and crop variety information is captured by the eProd mobile app and fed into the aWhere platform. 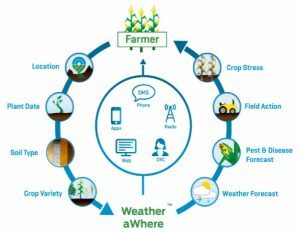 The platform generates localized forecasts for weather, and information for pest & disease control, field actions and crop stress. eProd now shares the information through SMS to farmers and field staff, and it is used to create automated management reports”. “Even though the data of the eProd database is owned by the licensee, it is important to be part of an academic platform and discuss what if… the unique data of the 250,000 farmers that eProd reaches already, would be accessible to the public in an Open Data platform”, says Almut van Casteren, MD eProd Solutions. The Center for Agricultural Networking & Information Sharing, or CANIS, part of the University of Nairobi, organized a workshop to create a shared understanding and set a focused action agenda for creating Impacts with Open Data for agriculture and nutrition in Kenya on October 3rd 2017. Open data is data that anyone can access, use and share. Dr Kiringai, director CANIS: “Sharing access to data is widely recognized as a priority goal by the development community and a driver for economic growth. High level interest on a political level has drawn special attention to the potential value of open data in the light of growing global challenges affecting the health and welfare of people everywhere. The Government of Kenya is pursuing an active open data policy and has its own open data portal that features hundreds of data sets on agriculture and nutrition. “With all these data sources available on the supply side, there is scope to deploy them for creating impacts in agriculture and nutrition, specifically with respect to food security. However, steps of enrichment of data to knowledge need to be taken, just as understanding the needs of the beneficiaries that could work with the data”. Communication plays a key role in agriculture. Your operations with small scale producers require resilient and flexible technology that is capable of supporting your staff located across geographically-dispersed production areas. Internet has become essential for communication, but what if the internet is too slow or absent? Digital two-way radio can offer a solution for data transmission for voice, SMS, email, GPS location tracking, etc. “Even if different devices are being used on different operating platforms, the solution doesn’t have to be complex or cumbersome for end users,”, says Travis Heneveld, Director United Nations and International Accounts at Motorola Solutions. Let’s consider some examples of how MOTOTRBO digital radio solutions could benefit operations in remote agricultural production areas. Field staff can work online while conducting field inspections and surveys to certify farms, use e-extension to train farmers and collect produce. Farmers can receive instant weather forecasts, production information and collection confirmations by SMS. The location of each staff member and collection vehicle, cattle, etc. can be tracked using GPS”. 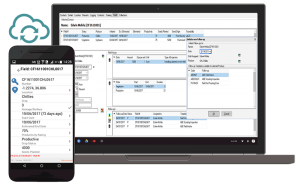 The company offers a freeware application called SmartPTT to transfer files through a MOTOTRBO™ digital radio channel. 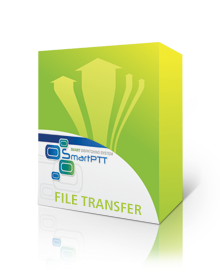 SmartPTT File Transfer is specially designed for effective data transmission, taking into account the limitations of the connection provided by MOTOTRBO. eProd Solutions has introduced wireless Bluetooth weighing scales and printers. The physical weighing and paperwork involved at the point of produce collection pose a challenge to the collection team. The field officers and collection teams have typically little time to weigh and record the deliveries made and at the same time prepare delivery confirmations. “Now eProd manages our paper based delivery group summary overviews that we hand over to our farmers, but now we can also print individual receipts during the collection. Our farmers love it”, Daniel Mbuvi, administrator of Equator Kenya. Bluetooth will open up new avenues for making eProd to be part of the Internet of Things, or IOT. For example, integration with smart power systems, precision agriculture tools, farm management software, and affordable sensors are all within reach of even the smallest farmers today. In order to avoid the creation of lock-in dependencies, eProd Solutions has ensured that its value chain management system can virtually communicate with any Bluetooth printer and weighing scale available in the market. However, a number of recommended Bluetooth printers/weighing scale suppliers have been identified to partner with eProd Solutions on the supply of the hardwares. For more information, kindly contact us at info@eprod-solutions.com. 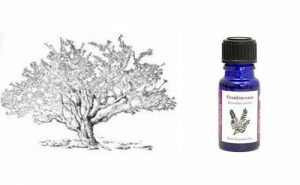 For over 5,000 years frankincense has been sourced from the Horn of Africa and traded through the Arabian Peninsula all over the world. The premium markets, such as the European Union is becoming more and more demanding. At the same time, the global traders would like to assure the sustainable supply of gums and resins from the sensitive ecosystems of Boswelia and Commiphora and other less known but precious species of gums and resins. Appropriate management information systems and the introduction of sustainable certification, such as FairWild, are becoming essential to reach the premium markets and fetch the highest prices. The FairWild Certification system for the sustainable management and collection of wild plants. This allows consumers to know that they are supporting ethical fair trading standards and trading benefits to be felt by the local communities harvesting the plants. Many consumers are willing to pay a premium price for certified products. In order to reach the premium quality markets and fetch the highest prices, ICT management solutions like eProd have become unavoidable in the gums and resins sector. In August, eProd participated in a gums and resins stakeholders meeting organized in Hargeisa by the GEEL (Growth Enterprise, Employment and Livelihood) program funded by USAID. The company was given an opportunity to contribute by introducing eProd as an appropriate tool to manage affordably operations such as: certification, advances to harvesters, traceability, production, quality based payment, training, communication etc. Field Size Measurement: By simply walking around a plot in the field, the app will calculate the surface of a plot and link it into the production module section. Now you can link production to accurate productivity! Seed traceability: The traceability features of eProd have now been extended and your field officer can keep track of a batch of seed from the time it was planted at the nursery up to the time of harvest delivery, ensuring full traceability of the crop throughout. Instead of agricultural production this feature offers new opportunities for other sectors as well, e.g. livestock, dairy, aquaculture, and gums & resins. Please note that identification through integration with NFC and RFID is possible. Monitoring of field activities: Keeping track of farmers’ field activities can be challenging. Enabling your field officer to have all field activities on his mobile phone during field visits enables efficiency in the field. The application will indicate the GPS locations as proof of the actual visits by your field officers. Questionnaires: The mobile app will assist the field officer to conduct and manage questionnaires, e.g. for quality management certifications that demand a lot of information gathering. The questionnaires are geo-referenced and can be linked to various levels of operations. For example in agriculture: individual plots, farmer, farmer group, cooperative, but also company staff. All information is safe and conveniently integrated with the other modules of eProd. Besides certification the tool is very useful for (donor funded) project M&E, socio economic research, field trials, etc. How many phones have you lost already because of water or dropping them? CAT and eProd Solutions partner to ensure that you fully benefit from the range of features that the eProd mobile application offers. CAT provides support, local repairs and maintenance. The company has just released three new models that meet the highest technical and industrial standards: all drop, water and dust proof. Perfect for your field operations! To introduce CAT phones to eProd users, CAT offers until the end of 2017 a 5% discount on all mobile applications purchased from a certified CAT agent in Kenya. There is a special offer for the CAT T30 Smart Phone for only USD 209, retail price in the UK about 320 USD. 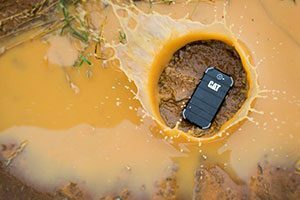 This is a rugged phone with exceptional features. Are you able to assess the quality of products that you buy from farmers? Can you objectively and quickly measure the product moisture content of Irish potato? Adulterations in milk – did your supplier add water to the milk? What about melanin? Is the mango “Ready to eat”? Does the avocado have a sufficient oil content? How to measure these and many other variables quickly and cost-effectively in the field at the moment you have to decide to buy or reject produce at the farm or collection centers? Are you able to log transport and storage conditions? eProd clients have now something to look forward to. 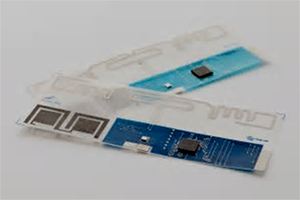 With Wageningen University and Research Center, in the lead, the application of Spectroscopy and affordable smart chips will be tested. 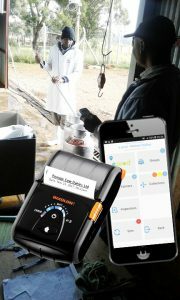 For example, dairy companies can benefit from the new technology by using a portable, high-tech sensor (much more developed than an ultrasound lactometer) to test in a matter of seconds the milk using the Spectography technology and monitor the conditions of milk during transport and storage. eProd mobile app will facilitate to capture the quality details in the field and also at the cooling plant, and the information will trigger payment incentives for the individual deliveries and transporters. The ultimate quality based payment system is created. This will significantly reduce the post-harvest losses and incentivize farmers to deliver high value products. In the beginning of the year, we launched the eProd mobile application that you can use on your mobile devices in the field. With the mobile app, georeferenced data entry in the field is made easier, faster and much more efficient. The mobile app is used for field collections but has many more eProd functionalities fully integrated. The Field Inspection Module allows your staff to capture and assess production data for agriculture and livestock. The Credit Module allows to access details of outstanding loans and advances in the field, very useful for loan appraisal pre-screening. Capturing the geo-locations while a user is offline (i.e. not connected to the internet) is possible, which will assist verifying actual staff movements. Do you operate in a remote area? No problem for eProd, field officers will now also be able to collect all the data in the field and synchronize with the server when staff has internet connectivity. 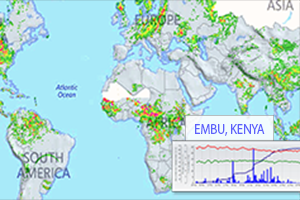 In our April Newsletter issue, we informed you about the strategic partnership between eProd and aWhere, a global agricultural intelligence company that collects weather data from satellites and local ground based weather stations. 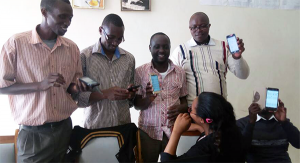 This collaboration will make it possible for field officers and farmers to receive individualized weather forecasts data on their mobile phones.